Western District of Pennsylvania Federal Court Judge Mark R. Hornak granted summary judgment to the defense in his recent decision in the case of Wroblewski v. Ohiopyle Trading Post, Inc., 2013 U.S. Dist. Lexis 119206 (W.D. Pa. Aug. 22, 2013 Hornak, J. 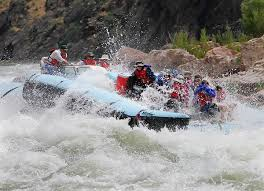 ), after finding that a release signed by plaintiff precludes liability for injuries suffered in a white water rafting accident. In this matter, prior to engaging in the white water rafting trip, the Plaintiff signed contract for the provider of this recreational activity which contract contained release from liability language. The release repeatedly referenced negligence and advised the signor to read it carefully. The court ruled, in part, that a release does not have to be directly above the signature to be enforceable. Judge Hornak also ruled that the record before him established that the Plaintiff voluntarily signed the document, even if she claims she did not read it. It was also noted that, under Pennsylvania law, an alleged failure to read does not nullify an otherwise valid contract. The court also repeatedly emphasized that the plaintiff voluntarily chose to undertake the activity of white water rafting and its attendant risks. As Judge Hornak was able to reach his decision based upon the release language in the contract for this recreational activity, he did not address the defendant's alternative argument that the defendant did not owe any duty to protect the plaintiff from being thrown from the raft and injured as that was an inherent risk of white water rafting. Anyone wishing to review this Opinion by Judge Hornak in Wroblewski may click this LINK. 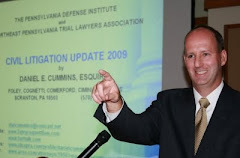 I send thanks to Attorney James Beck of the Philadelphia office of the Reed Smith law firm and writer of the excellent DRUG AND DEVICE LAW BLOG for bringing this case to my attention.